Start with the pizza you love, add a side, and top it off with a sweet treat to satisfy your taste buds. 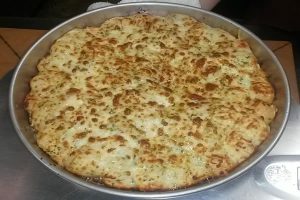 Our specialty pizzas feature our most popular creations! 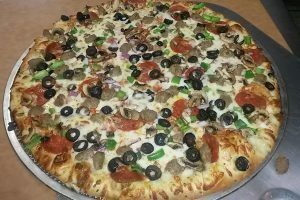 We also offer a Build-a-Moose option with our classic pizza ingredients for those of you who know exactly what you are looking for on your perfect pizza. 10″ gluten-free crust now available. Priced as medium pizzas. Loaded with toppings, our signature pizza is sure to please the herd. Italian sausage, pepperoni, green peppers, onions, mushrooms, and black olives. 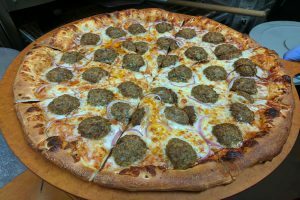 The large Bull Moose boasts a full pound of our premium meatballs, smothered in our sweet and tangy barbecue sauce and topped with red onions. 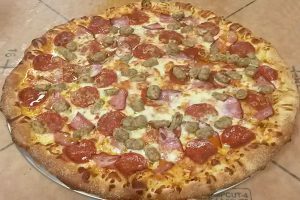 Our Meaty Moose will fuel your inner carnivore, featuring Italian sausage, Canadian bacon, and pepperoni. You wouldn’t want to meet this moose in the forest! 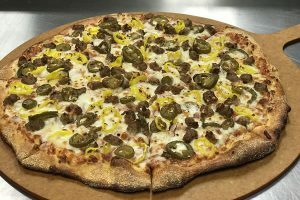 Topped with Italian sausage, jalapeños, red onions, banana peppers, and red pepper flakes, this pizza will send you scrambling up a tree! The grass is never greener on the other side with our garden fresh pizza. 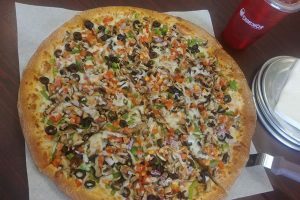 An array of tomatoes, onions, green peppers, mushrooms, and black olives color this pizza. 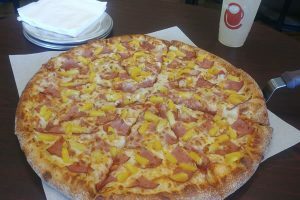 A rose by any other name would smell as sweet, but a Hawaiian pizza by any other name will not taste as good! Savory Canadian bacon and sweet pineapple top this pizza. Need a little pep in your step? 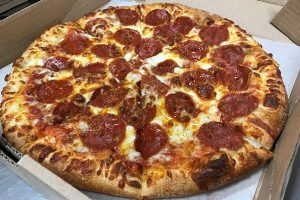 Our peppy pepperoni pizza will not disappoint! 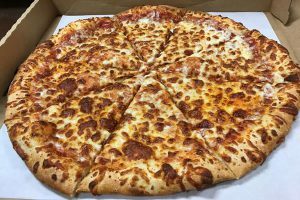 Just like Cinderella, this pizza may appear to be a plain Jane, but it’s rich mozzarella makes it a pizza to be pursued. You won’t find any monkeys in our kitchen—or will you? This savory take on monkey bread, covered with parmesan, mozzarella and garlic, is sure to please. 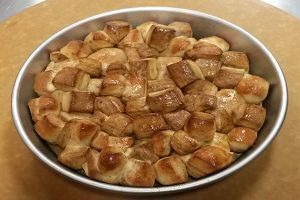 Cinnamon sugar dough brushed with butter and topped with cinnamon, sugar and caramel. Yum!